Newly released stats by Public Health England show that there are 13,500 youth under the age of 18 in that country being treated for Marijuana addiction. This includes 200 under the age of 12. This represents a 50% increase in addiction among this age group over the past seven years. Experts are attributing this rise to the arrival of a new “super-strength” Marijuana which is several times stronger than older varieties. The active ingredient in Marijuana is a chemical called tetrahydrocannabinol (THC). 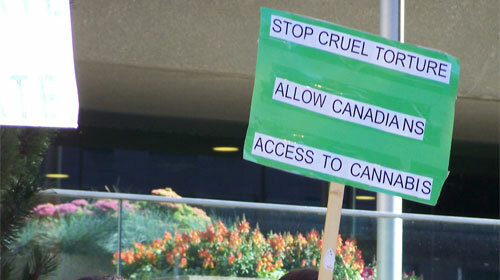 There has been a push by activists and others to legalize the sale of Marijuana around the world. Colorado, an American state, is the latest government to legalize the sale of Cannabis for recreational use. Unfortunately, its legalization only contributes to the perception being promoted by many that it is a safe drug. However, recent studies are showing Cannabis is anything but safe, particularly for teens. A recent study showed that Marijuana use among youth can negatively impact an individual’s intelligence and people never recover from this loss even when they stop using the drug. The report noted that the studies revealing the drug’s effect were based on much less potent varieties of Marijuana. Using brain scans, a team of researchers from Northwestern University Feinberg School of Medicine and Harvard University discovered that even casual Marijuana use by teens causes abnormalities in the brain structure and can lead to serious mental illnesses such as schizophrenia. Among Marijuana users they discovered areas of the brain that affect decision-making and motivation were shrunken and deformed. University of Maryland researchers concluded that regular usage of Marijuana by teens results in an increased chance of psychiatric problems and increased risk of schizophrenia. A study by researchers from Illinois’ Northwest University, again using brain scans, determined that Cannabis users have brain abnormalities similar to those with schizophrenia and that the drug can negatively impact a person’s memory. They scanned deeper parts of the brain — not previously studied — that affect memory and thinking. Their scans showed abnormalities in this region attributed to Marijuana usage. They also said the memory loss lasted for at least two years after the person had quit using the drug. Next PostCase of demon-possession in Mexico due to a Ouija Board?